Here's an extra. 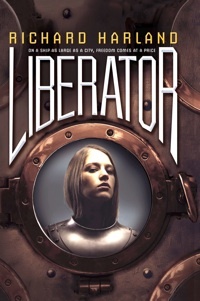 Since steampunk fiction has been my thing ever since Worldshaker came out--and now Liberator too--I've put up some tips specifically on writing steampunk. To check them out, click here on TIPS FOR WRITING STEAMPUNK FICTION. Who are these tips for? These tips are for genre writers not literary writers, for storytellers not writers of semi-autobiographical memoirs. Some of them apply specifically to fantasy, SF and horror, most of them work for any popular fiction that needs page-turning excitement, suspense and a strong storyline. Are they good for everyone? I don’t believe any tips are universal—it depends what you start out with. If you naturally write with very few adjectives, you don’t need advice on cutting them down. If your tendency is to show events dramatically, you’ll have more use for advice about telling events over time—and vice versa. Some things I do automatically I’ve probably never thought about. Why listen to Richard Harland? 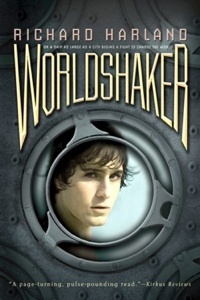 I can say I'm a successful author with 16 published books of fantasy, SF and horror, some for adults, some YA and some for younger readers.My last two novels, Worldshaker and Liberator, have been my big international breakthrough, but I’m not J.K.Rowling yet, that’s for sure. What I have is a sort of schizophrenia—one half of my brain creates and writes, while the other half observes. I think a lot about what does and doesn’t work, and I’ve tested my ideas in hundreds of creative writing workshops. I reckon I've been lucky as an author, and I'm hoping to be luckier stll. So this is my way of getting good karma! There's a navigation bar for the main sections, side-bars for sub-sections and pages, a GENERAL INDEX button for scattered topics, and a SITE MAP button for the whole set-up. 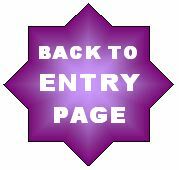 Or if you want to begin at the beginning and read through the way I wrote it, just use the NEXT button. Here’s to good karma! If you find these tips helpful, pass the word along! There's a poster to download at the side, if you can help spread the word on notice boards, in libraries, etc. Please, be fair. The material on this site is free, but if you use it in workshops or classes or whatever, let people know where it came from. I had to take 4 months off writing fiction to produce it! © 1997 - 2010 Richard Harland.